Southern sophomore Coltin Parker winds up for a pitch during his no-hitter win over South Gallia on Thursday in Racine, Ohio. RACINE, Ohio — It was a good night to be a Tornado. 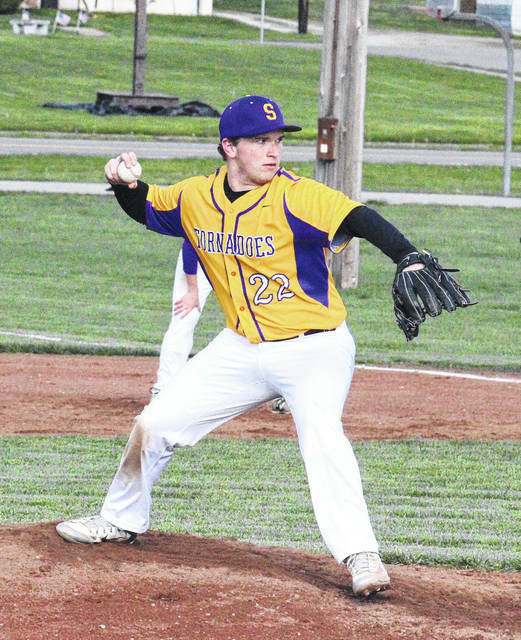 The Southern baseball team picked up a pair of shut out victories on Thursday at Star Mill Park, claiming decisions of 10-0 and 15-0 over Tri-Valley Conference Hocking Division guest South Gallia in five innings apiece. 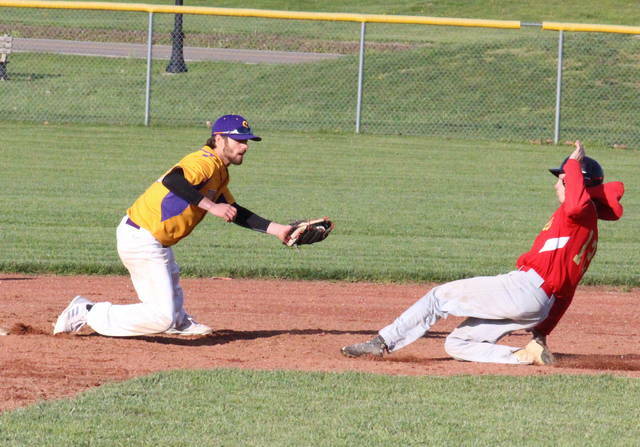 In the first game, the Tornadoes (7-3, 7-2 TVC Hocking) plated the game-winning run in the opening inning, as Billy Harmon drove in Ryan Laudermilt. Two hits, two hit batters and an error in the bottom of the second allowed four runners to score, making Southern’s lead 5-0. Jensen Anderson and Garrett Wolfe both scored for SHS in the third and fifth innings, making the Tornado lead 9-0. South Gallia didn’t reach base until a fifth inning error, and the runner was thrown out trying to steal. The hosts wrapped up the 10-0 win with two outs in the bottom of the fifth, as Logan Drummer singled home Cole Steele. Earning the win on the mound for Southern, Coltin Parker pitched a no-hitter and faced the minimum of 15 batters, striking out nine. Jared Ward struck out one batter and suffered the loss in a complete game for SGHS, giving up 10 runs on seven hits, four walks and two hit batters. Leading the Tornadoes at the plate, Drummer and Laudermilt both went 2-for-3, with Laudermilt scoring twice and Drummer driving in one run. Auston Coburn doubled once and drove in two runs, Steele doubled once and scored once, while Harmon had a single and an RBI. Anderson and Wolfe each scored twice for SHS, Parker and Logan Dunn scored a run apiece, while Parker and Dylan Smith each had an RBI. 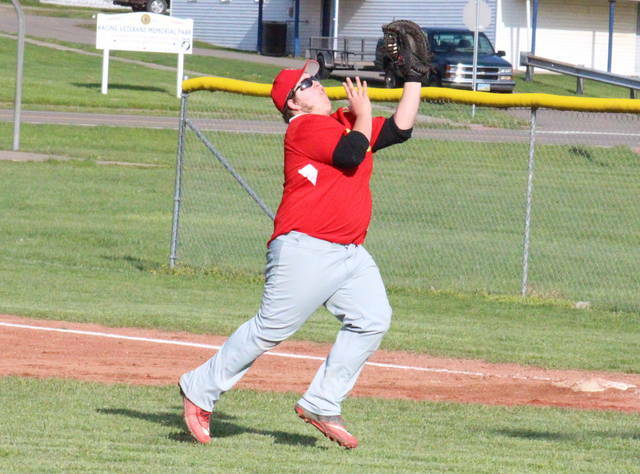 South Gallia was responsible for three of the game’s four errors. Southern stranded five runners on base, while SGHS left none. In the second game, Southern again scored the game-winning run in the bottom of the first inning, with Harmon driving in Gage Shuler. The Tornadoes scored twice more in the first inning and then crossed home plate seven times in the following inning. After a scoreless third frame, Southern added five insurance runs in the fourth, combing six walks, one hit and a hit batter. Drummer was the winning pitcher of record in a complete game for SHS, surrendering one hit, while striking out 12 and walking two. Austin Stapleton suffered the loss in three innings of work, striking out one and giving up 10 runs on four hits and five walks. Jared Burdette pitched the final inning for SGHS and gave five runs on one hit and seven free passes. Anderson and Dunn both singled once, scored twice and drove in a run for the Tornadoes, Harmon singled once, scored twice and brought three around to score, while Smith and Shuler recorded a single, a run and an RBI apiece. Drummer and Ryan Acree both scored twice and drove in a run, Wolfe picked up an RBI, while Steele scored twice and John Ginther scored once. 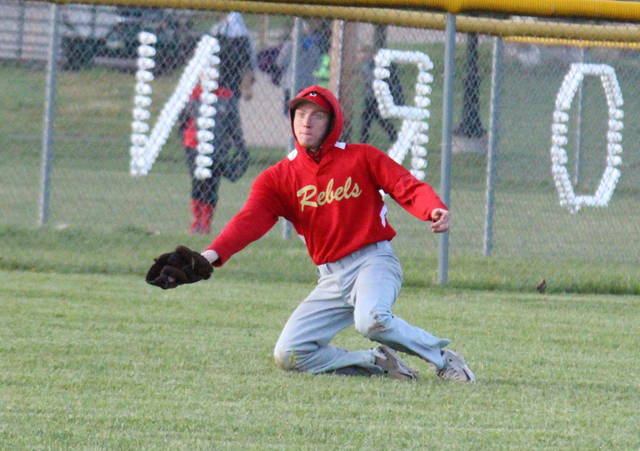 Jeffrey Sheets was responsible for the lone Rebel hit, a single in the fourth inning. South Gallia committed all-7 of the game’s errors. The Tornadoes stranded seven runners on base, five more than SGHS. Southern returns to action on Monday when Eastern visits Star Mill Park. Following a bout with Federal Hocking on Friday, SGHS will head for non-league competition, as the Rebels visit Ironton St. Joseph on Monday.